Got the Showa fry out into horseshoe pond today. there are pitifully few of them, but I'm almost out of other spawning options now so they will have the run of the pond. Did another spawning this morning - kohaku again. And I'll add these additional kohaku to horseshoe pond in due course, and with a bit of luck that will beef up the harvest come September. 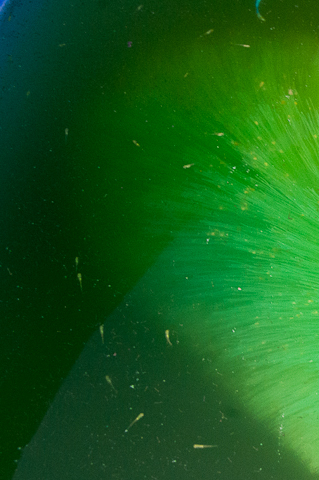 Each day that passes sees more shusui fry appearing out of the green. I may never know exactly how many hatchlings I have, but what I'm seeing is encouraging. I'll put them out tomorrow into chestnut pond. The fry ponds have cycled through the green stage just in time to receive the hatchlings - with both ponds going off green, and starting to become more see through; which means the rotifers are eating the algae, which means the koi will have lots of rotifers to eat! As I mentioned, I did another kohaku spawning this morning. All went ok, and fingers crossed on the fertilisation rates etc. Very happy with the number of viable eggs through. 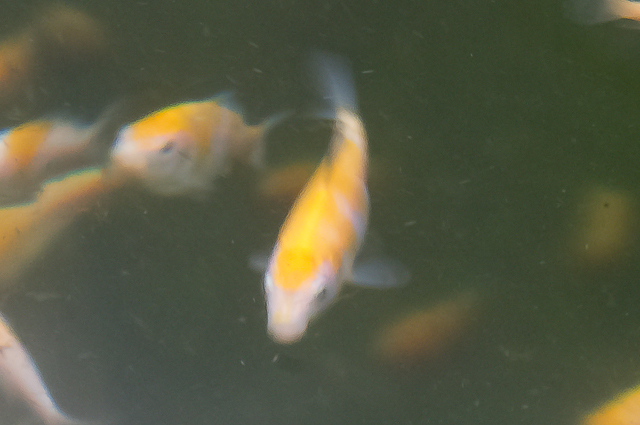 Whilst I was observing, it's was impossible not to point the camera at the kohaku fry that are growing on. 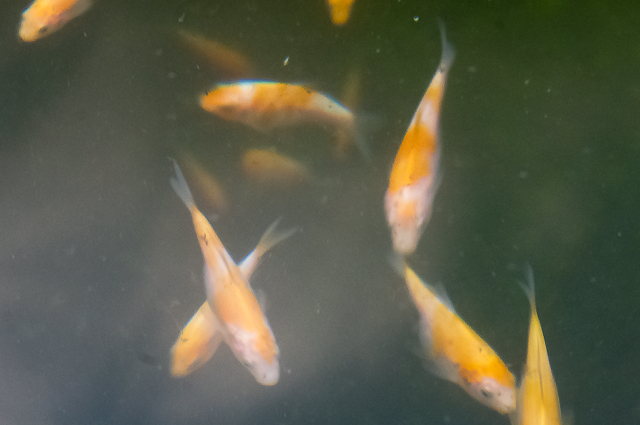 It's very difficult to photograph them in swimming around the growing on tank, but I got a few more pics of some of the more promising koi growing on. will the head hi stay in this fantastic shape? looks like a promising one step. this is exactly the kind of koi that makes for an interesting development subject; will it stay a one step, and if so, will the areas along the flank where the white cuts into the red end up forming an interesting one step pattern ? Just seen these, looking good fingers crossed. Thanks Bryan. They've been growing well and I will have some better photos when I complete second selection.